Forward-looking: Intel Optane Persistent Memory is now available for pre-order for $842 for a 128GB stick and $2,461 for a 256GB stick. That might sound like a lot, and it is compared prices for regular 16GB or 32GB DDR4 sticks, but in the server world that’s a tenth of the usual price. Intel Optane Persistent Memory (OPM) is Intel’s low-latency high-speed storage put in a memory form factor. 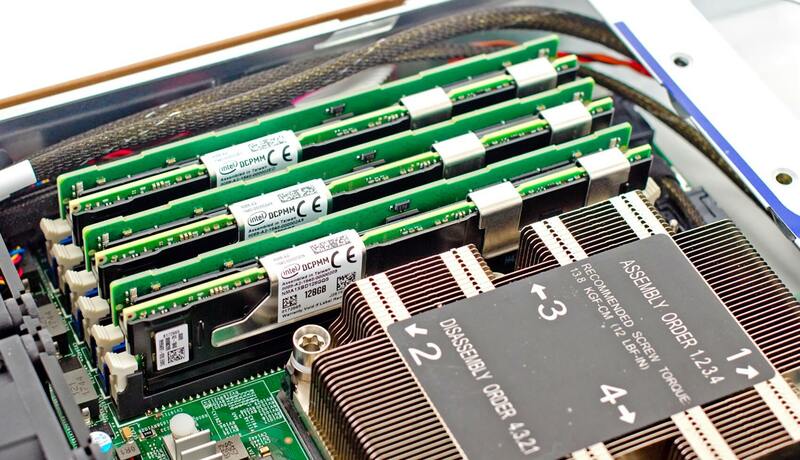 The pitch is simple: in case a mission-critical system fails, whatever data was in the memory isn’t lost; and for memory intensive applications, it offers shockingly high capacity at low prices. The compromise is higher latency and lower raw speed compared to traditional volatile memory. Courtesy of two online US retailers who’ve put the memory up for pre-order, we now know what the prices are. While 128GB and 256GB regular memory sticks are possible to purchase, they take extreme to a whole new level at $4,326 and $24,257, respectively. OPM is 80-90% cheaper and throws 512GB into the mix, though we don’t yet know the price of that module. As cool as OPM is, it is not at all intended to reach consumers at this point. Even if a professional required 256GB of RAM, a 8 x 32GB DDR4 kit is a grand cheaper at $1,816. It’s a lot faster, too. OPM occupies its niche fantastically, but it it will be a long time before it can expand to other markets. Servers featuring Intel OPM are expected to arrive in June, but we don’t know when the single sticks will be available, and the retailers aren’t listing a release date. Performance is also a big question, not in terms of numbers and specs, but rather how various workloads will be affected by the lower speeds and increased capacity compared to traditional memory.